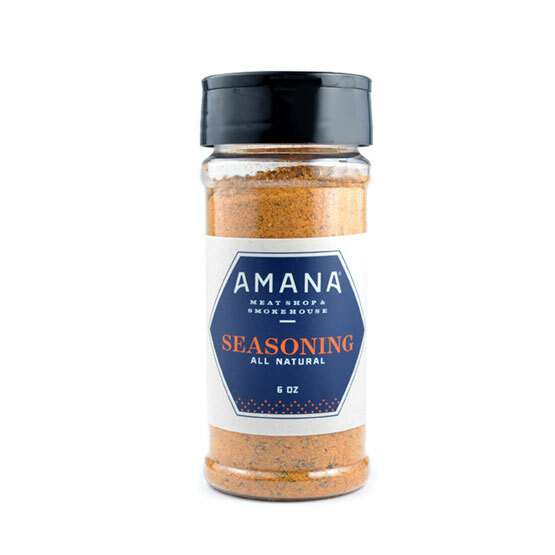 Our popular Amana All Natural Seasoning salt is created with a special blend of onion and garlic spices, along with bell peppers and orange peels. Great for seasoning your favorite meat entree's! MSG Free. 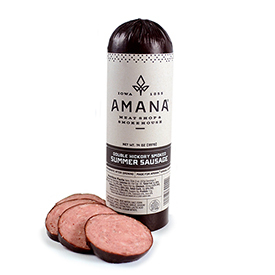 I grew up in Iowa and when we were back visiting a number of years ago we visited the Amana Colonies and discovered Amana Seasoning. Ever since it has been our "go to" Seasoning. We use it instead of salt on everything. Adds great flavor & zing. Love it! I always keep a few extras on hand, never want to run out. This stuff is good! We use it to season all our meats. 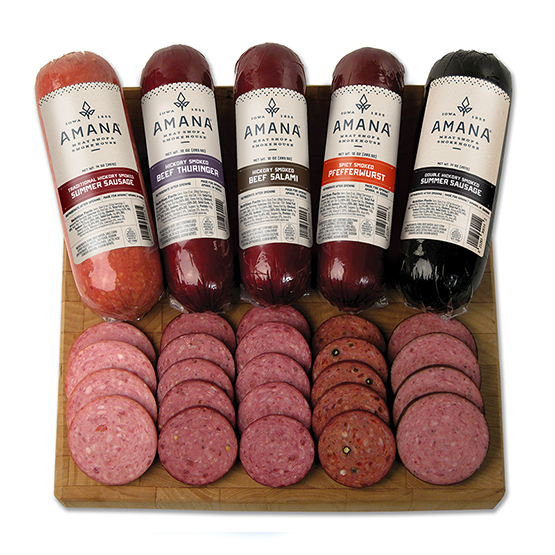 We are watching our sodium and we just need a little bit of the Amana All-Natural Seasoning to add a wonderful flavor. Thanks, Amana! 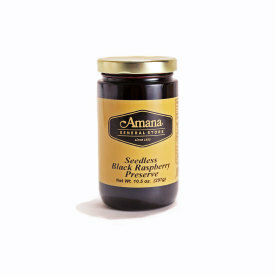 We discovered Amana Seasoning when we visited the Amana Colonies a number of years ago. It was love at first bite. Great flavor and zest but not overpowering. We use it on everything in place of salt. We've restocked a few times when we're back in Iowa but it's great that it available online when we run out and aren't going to be up there. 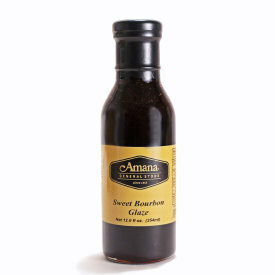 Owner Response:Glad you discovered our Amana Seasoning. We use it on everything, too! 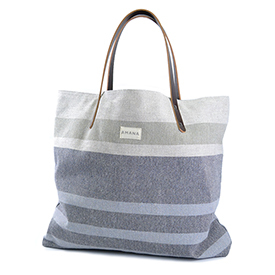 I first bought this when I was in Amana in Aug. 2011. I loved it and was excited to find I could get it on line.